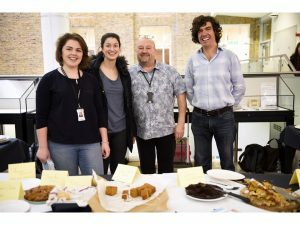 As part of Explore your Archive week where archives nationally showcase their collections, the School’s Archives Service asked staff and students to bake a First World War or Second World War recipe, including those found in the Archives Service’s Nutrition Collection. Well, the School’s esteemed bakers answered our call in droves! 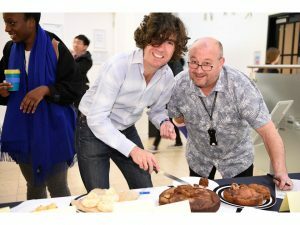 Cakes were judged by the School’s two esteemed judges, Alan Dangour, Head of the Nutrition Group, and David Cole, Catering and Bar Manager, who marked entries on taste and appearance. 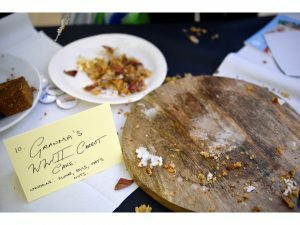 The 1916 gingerbread was a popular choice, however the eventual winner was made by student Anthea Katelaris who made ‘Grandma’s WWII Carrot Cake’, a recipe passed down by her great-grandmother. Anthea finished her cake with white icing, rose petals and citrus sugar shards (it must be noted that the cake was still warm, perfect for a cold day). 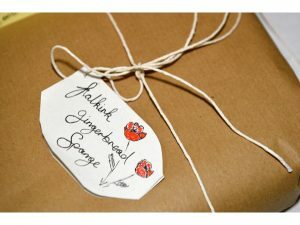 Second place, was held by student Isobel Stanley who created a delicate gingerbread, the judges commended Isobel on the authentic packaging and rich flavour. Staff and students aided in the clean-up operation, which saw no cakes go to waste! 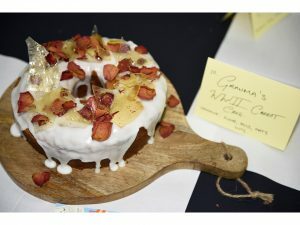 Keep an eye out for some of the entrant’s cake featuring in the Refectory menu in the near future, but if you can’t wait till then to try some wartime recipes you can still download the Great War Bake Off recipe booklet. We thank all staff and students for putting in the effort and making some amazing cakes. We hope to see you again for next year’s bake off.